Ultra Music Festival (UMF) is an annual outdoor electronic music festival that takes place during March in the city of Miami, Florida. Since 2011, Ultra has taken place across three days (Friday through Sunday) during the month of March. 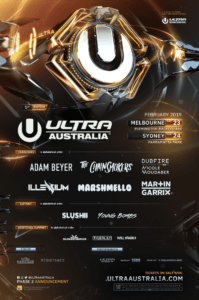 In 2014, the festival returned to its original one-weekend format, selling out pre-sale tickets in under five minutes. 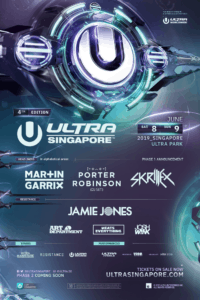 Ultra Music Festival is held in Downtown Miami at Bayfront Park. It was a one-day festival from 1999 to 2006, then grew into a two-day weekend event from 2007 to 2010. 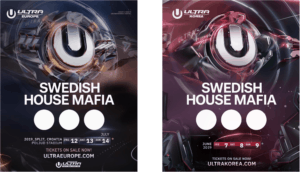 Since 2011, Ultra has taken place across three days (Friday through Sunday) during the month of March. In 2012, a record attendance of 155,000 people attended the festival. 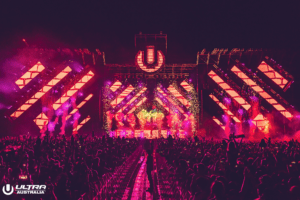 In 2013, for the first time in Ultra’s history, the festival took place across two consecutive weekends welcoming a combined attendance of 330,000 people. In 2014, the festival returned to its original one weekend format, selling out pre sale tickets in under five minutes. 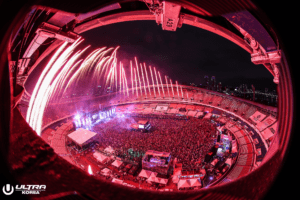 The most recent edition of Ultra, welcomed more than 165,000 people to the festival.